Sometimes life just seems a relentless round of running around. Without time to enjoy the sense of completion of one thing, something else springs up to capture our attention. School finishes and parents are under pressure to ‘entertain’ their children for the next six or so weeks. Promotion at work is confirmed, but before we have time to find our feet a backlog of problems is passed to us. Making time for ourselves is often looked upon by ‘others’ as a selfish act. Indeed, trying to satisfy the constantly shifting and never explicitly defined criteria of ‘them’ is in itself a burden beyond belief. 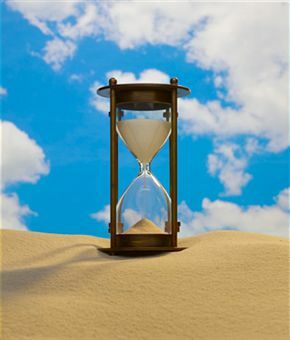 At some point the limit is reached, hopefully through conscious choice although a crisis often brings it to the fore, and a decision is made to start living the life we desire, not the one imposed upon us by those around us through their disdaining looks, unhelpful concerns and half-truths. Our life is just that, ours. We are the experts on ourselves. Where we are right now is the culmination of years of choices, decisions, yes mistakes possibly, and lots of other factors both under our control and out of our hands, quite likely unknown to ‘them’. We invariably know more about how we are in this moment and what we desire than ‘them’, so why do we give ‘them’ the power to run our lives? Because we know no other way? Because we are afraid of what ‘they’ might think if we take charge? Because we fear our potential? Starting small, perhaps with just an hour a week, in reclaiming our lives could open all sorts of new perspectives. Standing still, as it were, outside of the game of life we usually play, might permit us to have the overview rarely available to us as we run through our schedules. Is an hour a week, just for yourself, reasonable or selfish? Ask yourself not ‘them’ because we know what ‘they’ would say, don’t we.